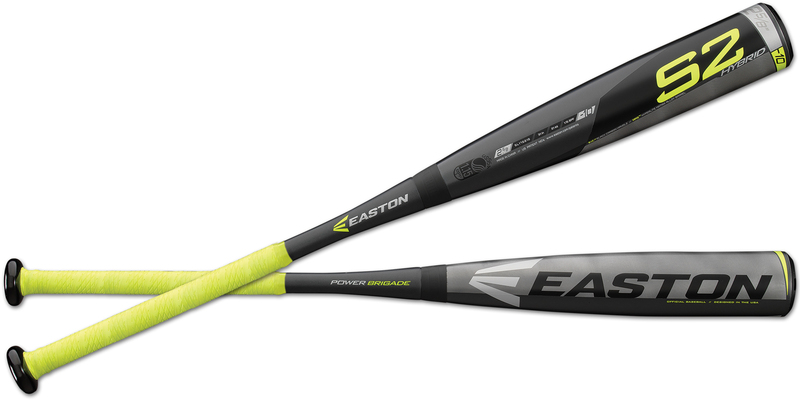 Easton?sÂ® S2 -10 features a two-piece hybrid aluminum/composite design with an HMX? Hyperlite Matrix Alloy barrel for an expanded sweet spot with greater durability. The patented two-piece ConneXion? technology and SIC? black carbon composite handle help maximize energy transfer and reduce vibration for better feel, and the -10 speed barrel design creates more swing speed. 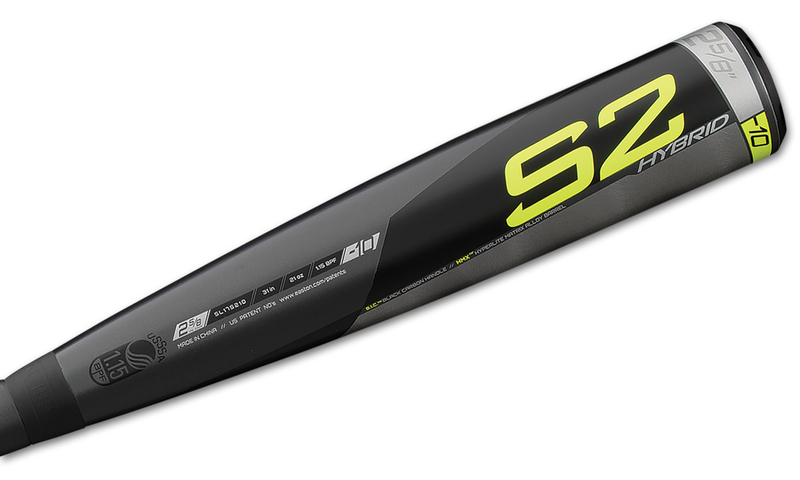 The EastonÂ® S2 -10 has a 29/32? handle with 1.2mm HYPERSKIN? grip to create stability through the hitting zone for players in leagues that allow 2-5/8 barrels. Approved for play for ages 14 & under in PONY Baseball, Dixie Youth Baseball, AABC and USSSA.